Our battery GPS and anti-theft solution is comprised of GPS module and software operation platform. This equipment includes GPS satellite positioning system and network positioning system, that is GPS+LBS+WiFi dual intelligent positioning mode. It has the function of satellite positioning, base station locating, remote reset, remote upgrade, fence alarm, tracking replay, battery low voltage alarm, vibration alarm, ect,. The utility model aims at resolving the problem that trucks can not guard against a thief effectively and providing a global position system (GPS) monitoring tracing system for logistic management. 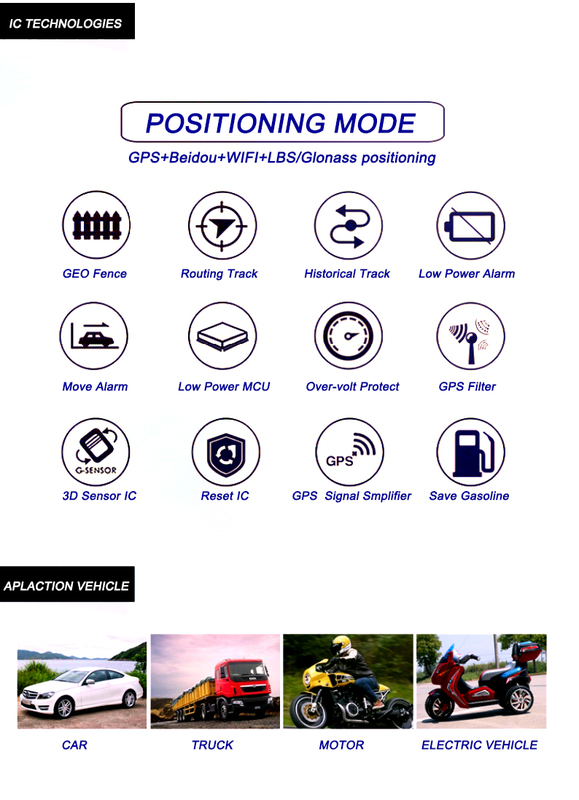 With on-board of GPS Positioning Tracker of 24V Battery GPS Protector, it can locate at any time and anywhere, improve efficiency, achieve real-time update of vehicle position and state, improve the utilization rate of resources and turnover rate. Strictly control the vehicle speed, route, fatigue driving, and emergency help or other hidden dangers. In short, with rapidly rise and development of the Internet of Things(IoT). Vehicle Battery GPS Tracker & locator are of great significance for logistics management and other industries. In the foreseeable future, the development of GPS Positioning must be faster and faster. Battery GPS Protector 24Volt with GPS Tracking is a integration of GPS Technology into 24VBP300Ah of Trucks start up and solar battery protector. Therefore, It has dual functions of Battery Protector 24Volt and Smart Battery GPS Protector 24Volt. This revolutionary unit saves time, money and effort by reducing battery-related downtime, maintenance and replacement. Congratulations, you now finding out the most effective method available for ensuring battery reliability and low cost logistic management tools--the GPS version of Start-up Battery Protector special for logistic management. Choose a battery smooth surface with no heat, no overflow acid and not sealed, wipe out the dust and water vapor; tear off the double-sided adhesive protective film at the bottom of the Battery Smart Pulse Protector, press to the installation position,( 56624989,suggest to prepare glass-rubber or AB glue to make the protector bottom firmly adhesive). Loosen the fixed screw on battery pole, connect the black wire of protector to the negative(-) terminal of the battery, the red wire to the positive(+) (refer to the drawing below), and then tighten the screws of battery. Looking for ideal Battery GPS Protector 24Volt Manufacturer & supplier ? We have a wide selection at great prices to help you get creative. All the Battery Protector 24Volt are quality guaranteed. We are China Origin Factory of Smart Battery GPS Protector. If you have any question, please feel free to contact us.